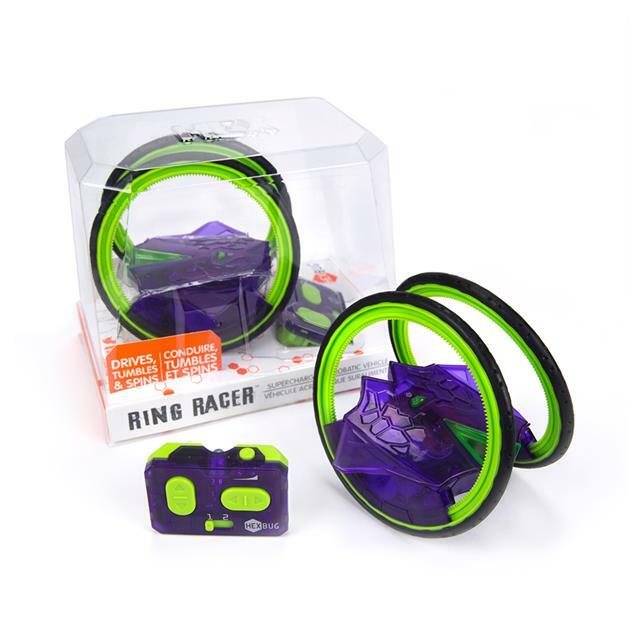 Prepare for a toy unlike anything you've seen before! 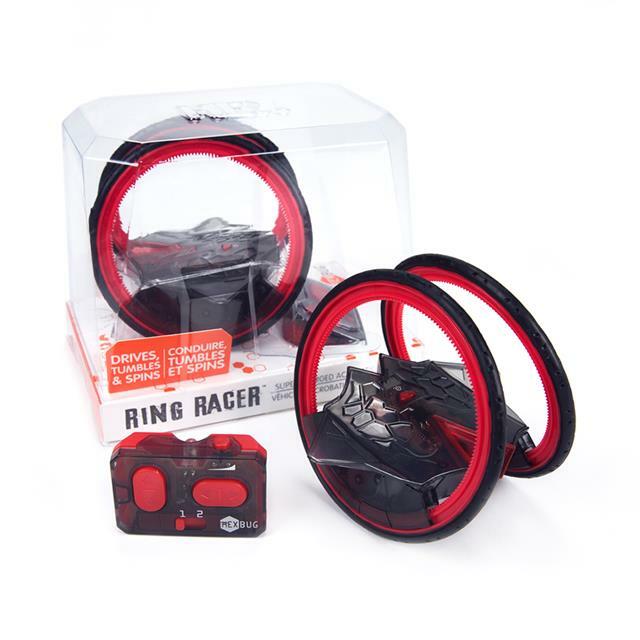 The HEXBUG Ring Racer is the latest in innovative, motorized technology. This self-stabilizing RC robot runs mesmerizingly on dual spinning rings. Watch it spin, tumble, and flip over a full 360 degrees! Push your robot to the limits. Two speed settings allow you to drive in regular mode, or blast-off into turbo mode! 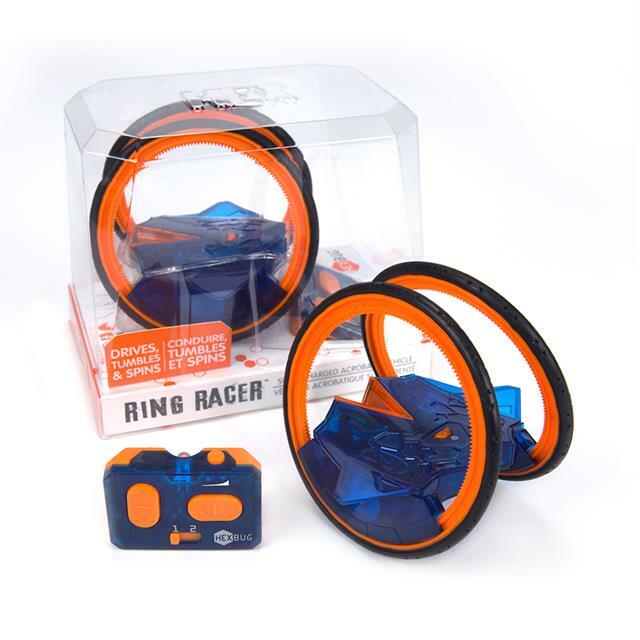 Create your own clever stunts and recharge your bot's batteries to keep the fun going!